This book is not really a collection of poems; rather, it is a narrative, a story that takes place over a year, in which a poet, who has prayed for a muse, receives instead an angel who teaches him much about what it means to be a human being, and leaves him, at the end of that time, wiser, healthier, and more spiritually aware. 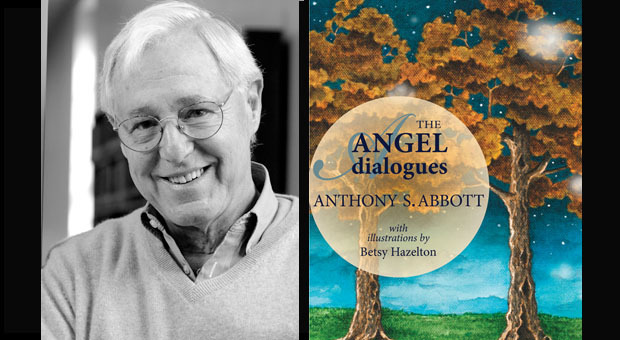 Anthony S. Abbott is the Charles A. Dana Professor Emeritus of English at Davidson College where he served as Department Chair from 1989 to 1996. He is the author of four critical studies, two novels and six books of poetry, including the Pulitzer nominated The Girl in the Yellow Raincoat. His awards include the Novello Literary Award for Leaving Maggie Hope (2003), the Oscar Arnold Young Award for The Man Who (2005), and the Brockman-Campbell Award for If Words Could Save Us (2011) as well as the Irene Blair Honeycutt Award for Lifetime Achievement in the Arts. He lives in Davidson, North Carolina with his wife, Susan. Abbott miters each poem into the next with the precision of a master carpenter, in language that moves seamlessly, often floating, from impressionism into a quirky vernacular narrative... "
This book is one of the most emotionally wide-open collections of poetry that I’ve read in a long time. " (T)his angel ... is a double tasking, sarcastic, Yeats reading, quantum-leaping trickster... "
Solicitous, assured, understanding, cheeky, impudent, mischievous... — "